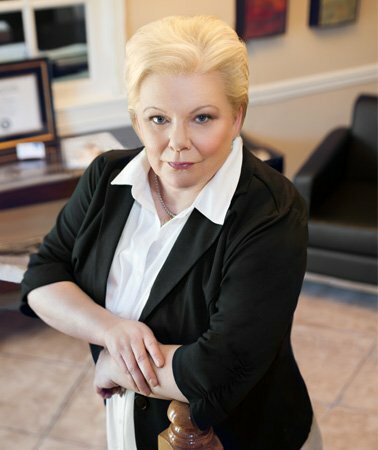 With over 20 years of experience in business and corporate law, attorney Lana Hawkins of The Hawkins Law Firm has encountered and dealt with the full spectrum of business law issues, including entity formation, corporate governance, business succession, and commercial litigation. Below are answers to some commonly asked questions in the area of business law and litigation. If you have other questions or need advice or representation regarding a specific matter, contact The Hawkins Law Firm for prompt, personal service and high-quality legal advice and assistance. Q. What type of business entity should I form? A. There are many different corporate forms available under Alabama law, such as corporations, partnerships, and limited liability companies. Generally speaking, the main advantage of a corporation is that its officers are shielded from personal liability for debts incurred by the corporation. However, corporate officers may be subject to double taxation as both corporate taxes and personal income taxes reduce their personal profits. Partnerships offer a more simplified and advantageous tax structure, but with personal exposure from the business. The limited liability company can be viewed as a hybrid of the two, offering the tax advantages of a partnership along with the liability protection of a corporation. There are other considerations which may be important in deciding how to incorporate, such as issues of management and control, business succession, governance and financing. Review your options with an experienced corporate lawyer to make sure you choose an entity structure that best meets all your needs and goals for your company. Q. How can I avoid business disputes? A. Most business disputes involve a difference of opinion regarding the interpretation or application of a contract between the parties. The best way to prevent these disputes from arising is to carefully draft clear and concise contracts in the first place. Of course, the contract should also be written in a way that protects the party in the event a dispute does arise, such as by making sure that important rights are not waived or that disadvantageous means of dispute resolution are not written into the contract. Covering all of these bases requires skill in negotiation and a careful attention to detail when drafting or reviewing documents. Sometimes business disputes are unavoidable. Besides breach of contract disputes, there is a whole class of business torts, where parties may allege unfair business practices, fraud, deceptive trade practices, etc. Litigation can often be avoided through alternative means of dispute resolution, such as negotiations, mediation, and arbitration. When these options fall short of satisfactory resolution, it is important to have a strong and effective courtroom advocate on your side. In any situation, it is important to be represented by qualified, competent legal counsel who can work to achieve an effective solution that meets your needs and protects your rights and interests. Q. Is a covenant not to compete enforceable in court? A. It is certainly understandable why employers do not want to hire employees, train them in the business, and share company secrets, only to see them leave the company, set up shop for themselves, and go into direct competition with their former employer. Likewise, when people go into business together as partners, they may wish to address the situation where one of the principals leaves the business, and whether that person should be allowed to compete with the former company. These matters are addressed in contracts and employment agreements through covenants not to compete. However, these documents are often found to be unenforceable by courts who view them as unlawful restraints on trade or business. Alabama’s law on the books does little to clarify the matter. It includes language that both prohibits and allows non-compete covenants, regarding both employer-employee relationships and partnership arrangements. This law has been litigated in the Alabama courts, but the various court decisions don’t do much to provide clear guidance to people wishing to make such covenants. It is clear from the statute that any covenant should be limited in geographic scope, such as limiting the application of the non-compete clause to a specified county or city where the primary business was taking place. According to the case law, a reasonable non-compete clause should be limited in time as well, such as one to three years as opposed to an infinite duration. The best course of action is to consult an experienced business law attorney who can analyze the law as it applies to your particular situation, advise you appropriately, and assist in drafting contract language most likely to be upheld in a court of law.